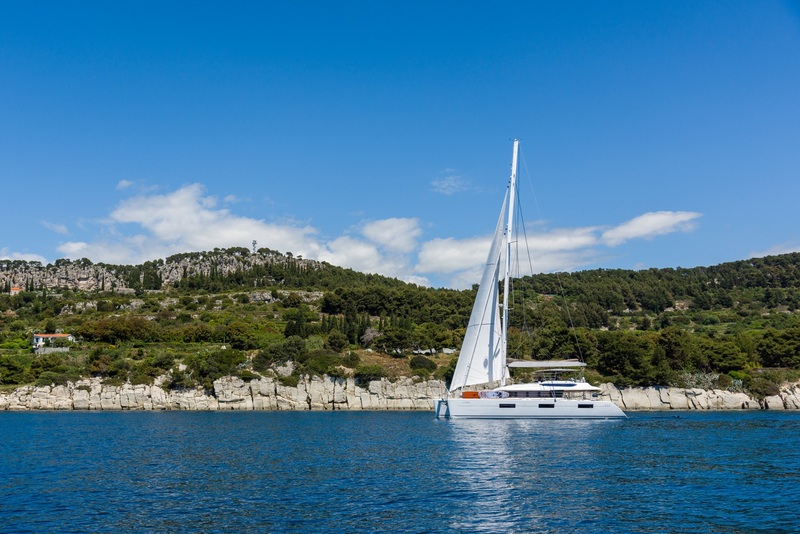 Sailing catamaran OPAL was delivered in 2017 by the French shipyard Lagoon and is 18.9m (62') in length, she accommodates up to 10 charter guests, across 5 double cabins. 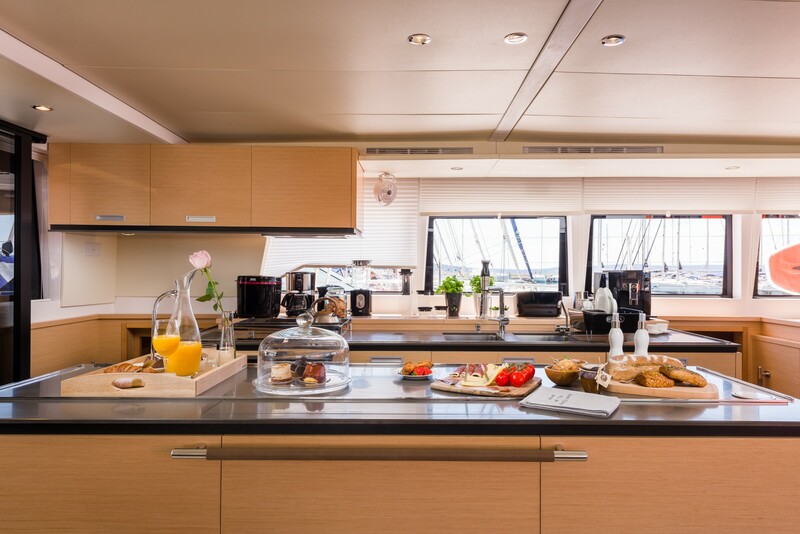 The yacht has beautifully finished interior styling, with light panelling, smooth marble tops and neutral fabrics. 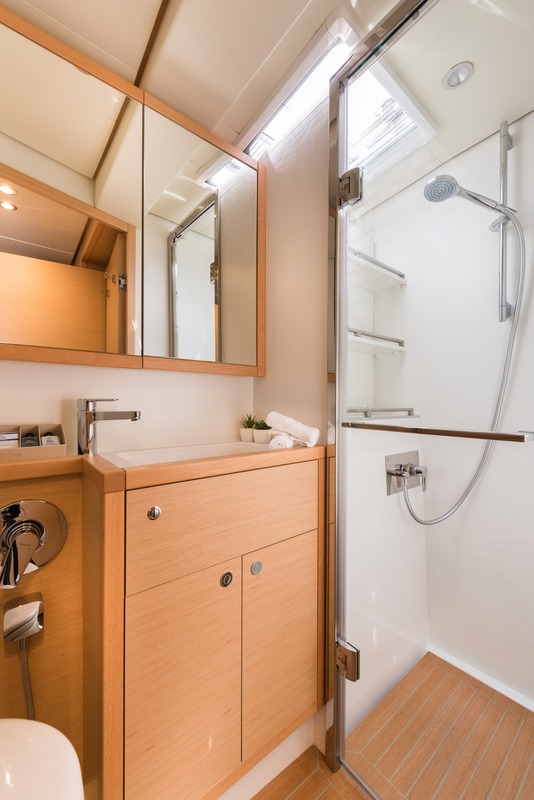 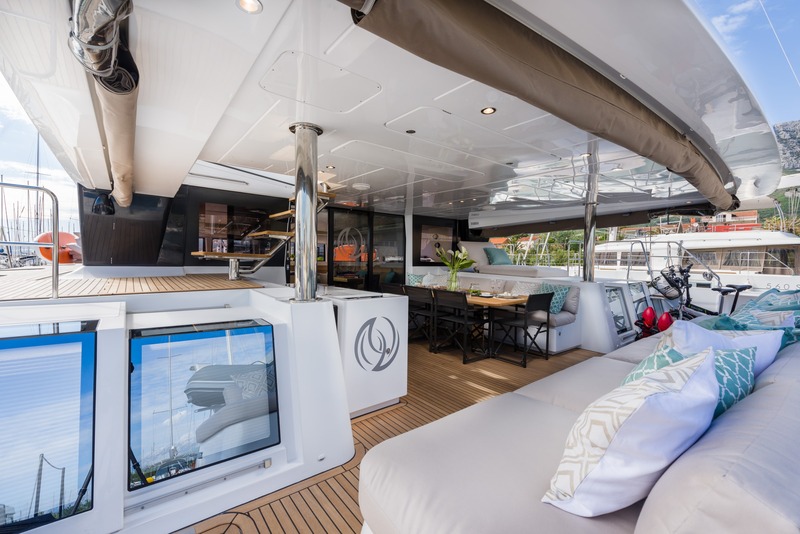 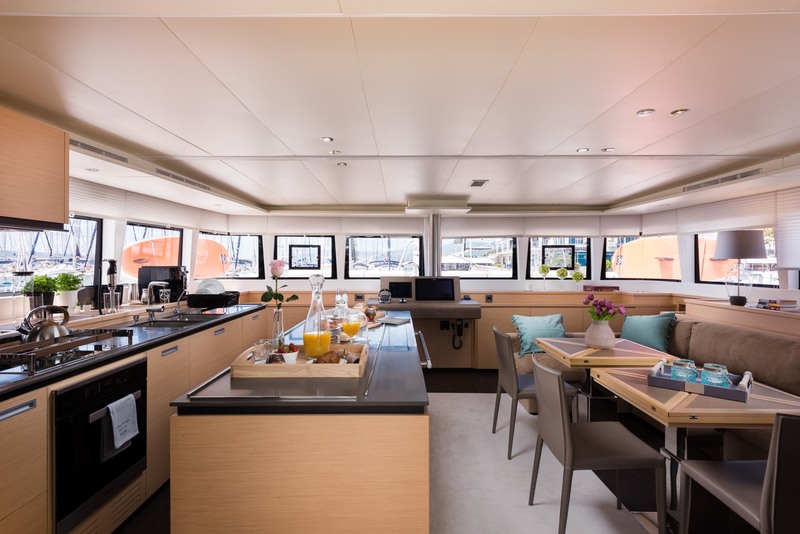 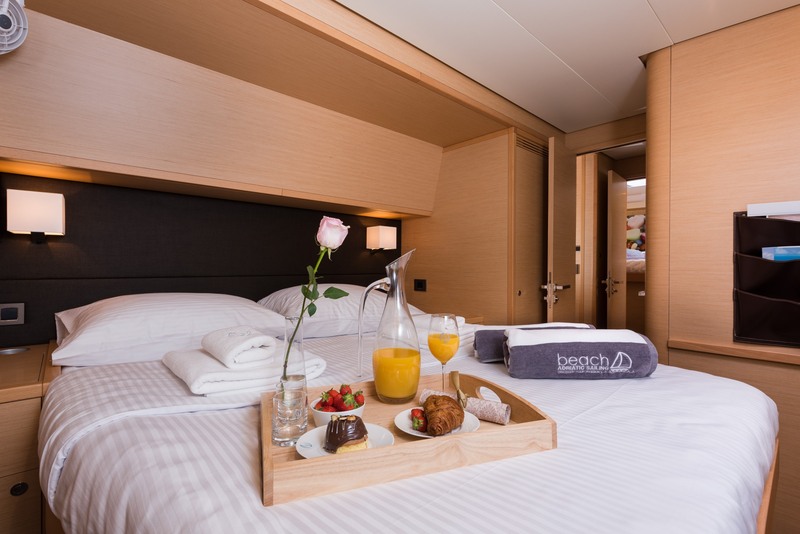 The open plan salon and dining features the lounge and dining as one, easily converting, this is placed on starboard, while to port is a well-equipped galley. 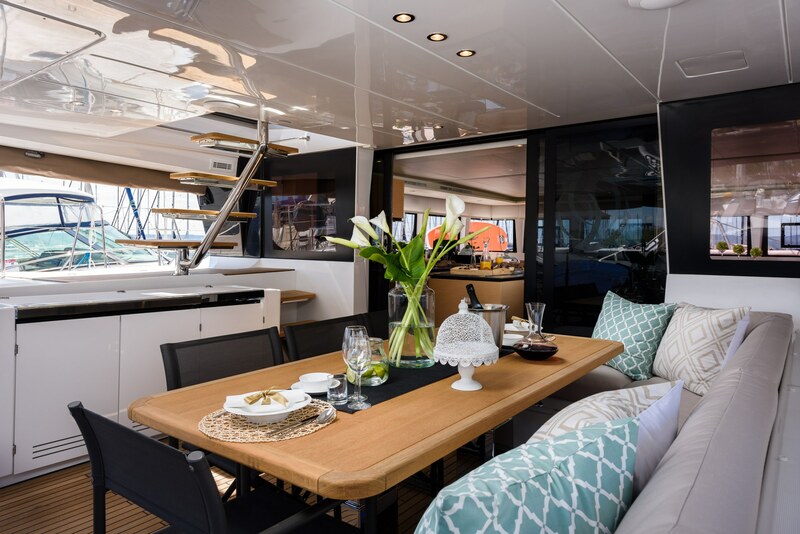 Surrounding windows allow plenty of natural light, creating an airy atmosphere. 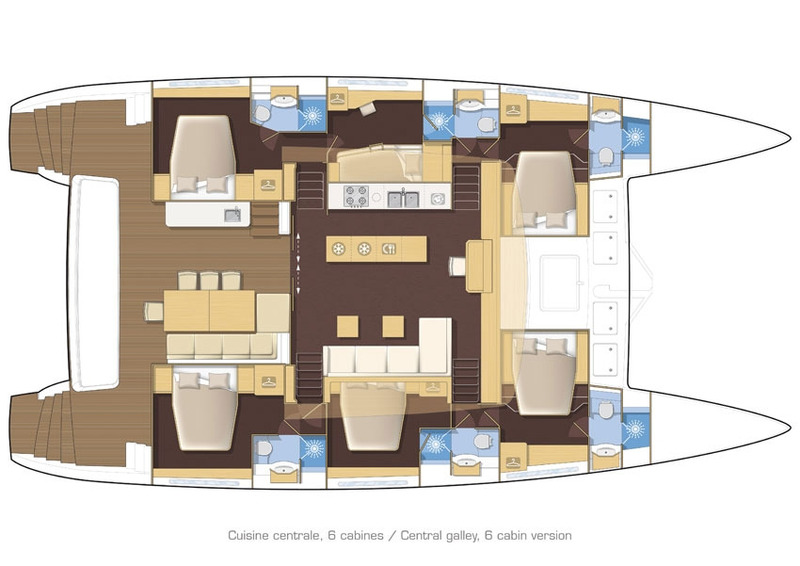 On deck, the Lagoon 620 OPAL boasts ample areas to enjoy with family and friends. 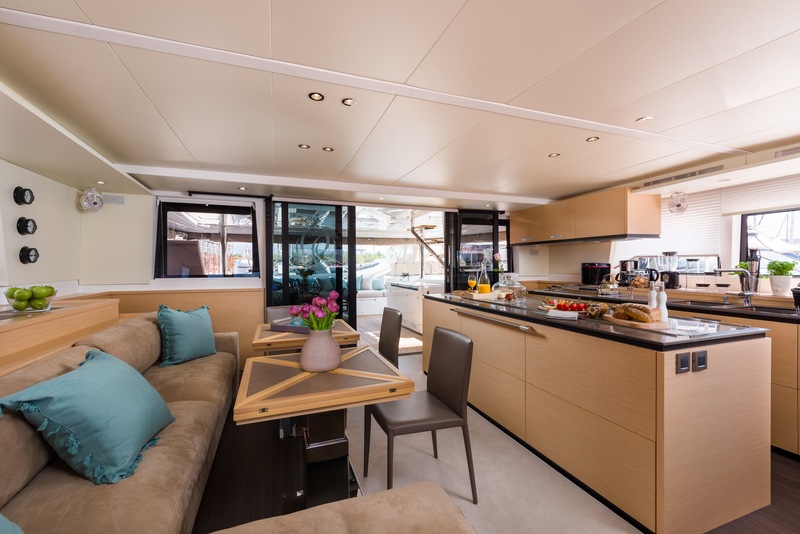 The aft deck is shaded with alfresco dining, seating and service station. 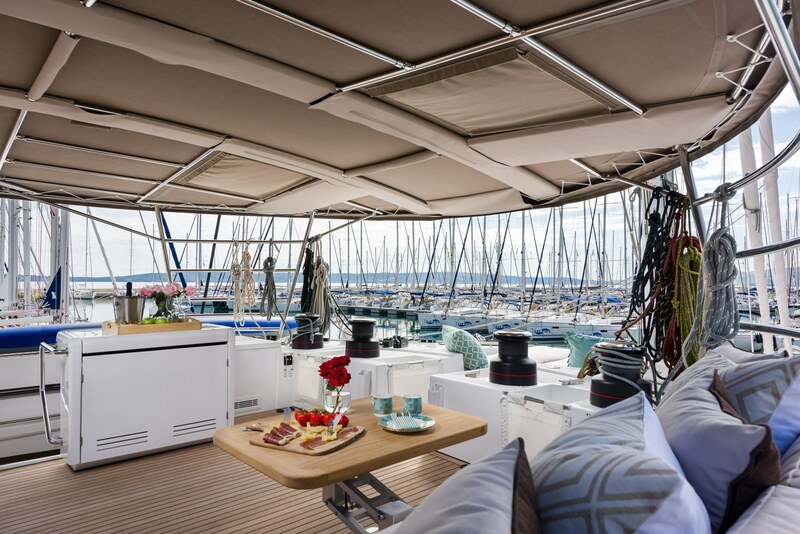 Above is a wonderful flybridge offering partial shade, seating, cocktail table and forward sunpad. 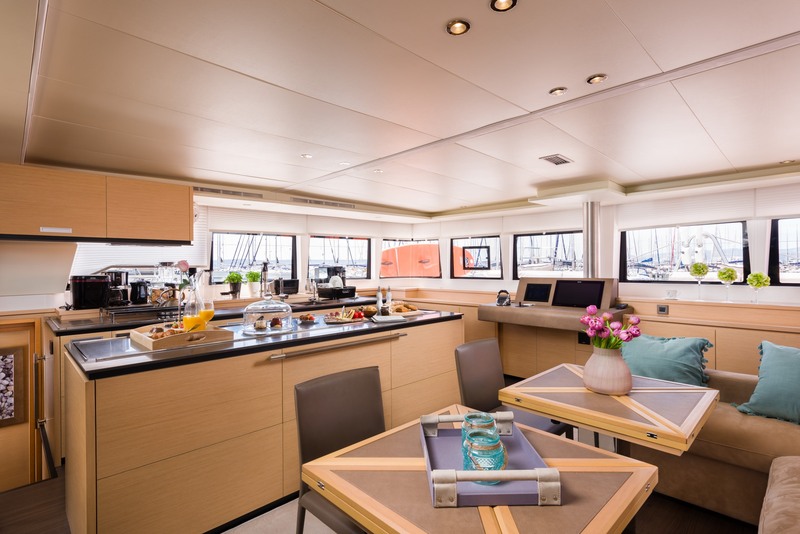 Moving to the foredeck, charter guests will find additional sunning areas, while aft are 2 wide sugar scoop swim platforms. 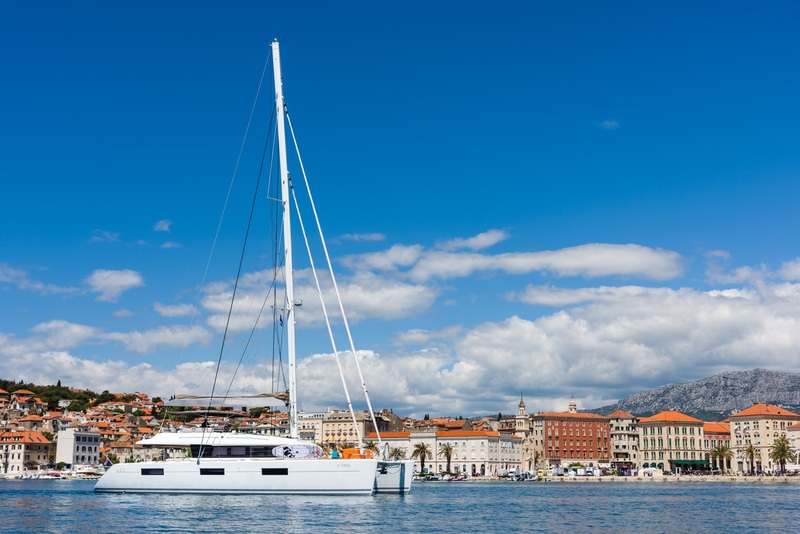 The sloop rigged vessel is powered by twin Yanmar 150hp engines, providing speeds of 8 - 10 knots. 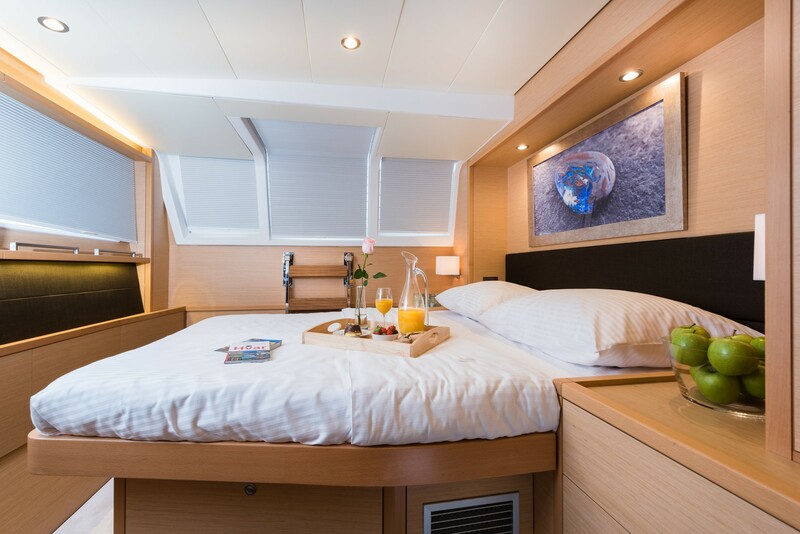 Accommodation is in 5 queen berth cabins, for 10 guests, all cabins offer private en-suite facilities.